Michael Chen on Channel 10News picked up our story about an OBcean being attacked in a probable Knock-Down Game incident – the first of its kind in Ocean Beach. Planning Board meeting, Feb. 2, 2011. In order to build some momentum for the upcoming OB Planning Board election on March 11th, the planners are holding a Candidate Forum at their next meeting, March 5th. It will come down at 6pm sharp at the OB Rec Center, 4726 Santa Monica Ave. See our update on prospective changes to the OB Planning Board. 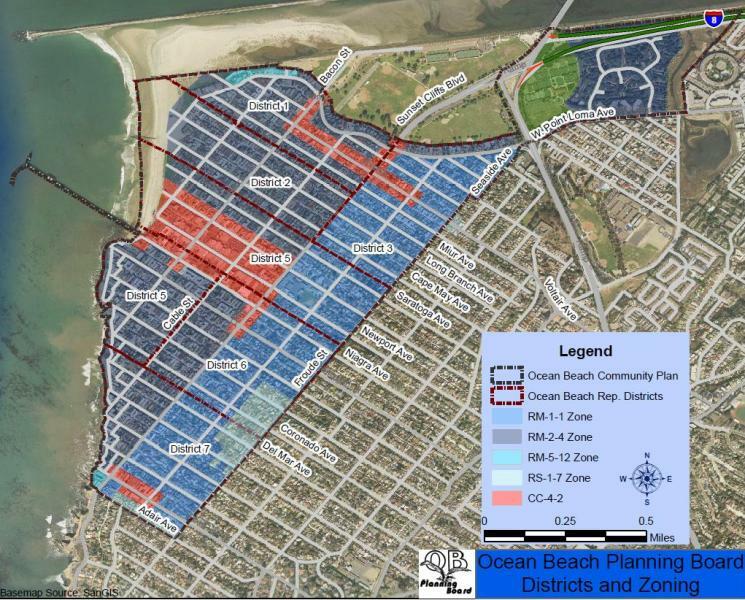 Eligibility Rules : To be eligible to serve on the board, citizens must be at least 18 and live, own property or run a business in the Ocean Beach planning area. Candidates must gather 35 signatures in the district in which they run. For more info here. There’s still time for write-in candidates to qualify. Write-ins can turn in applications at the forum or make arrangements to submit to a member of the board’s Election Committee by March 10. Those who seek board appointment as they have somehow not met the election requirements don’t have to satisfy a requirement that disqualified some: anyone running on March 11 must have attended at least one board meeting between February 2013 and January 2014. Appointments to fill vacancies after the election could take place as soon as the April 2 meeting. The election will be held March 11 from 4 to 7 p.m. at the OB Rec Center. Identification and proof of residence is required. Veteran Planner Seth Connolly is seriously considering going for an appointment to the Board. Seth has been on the Board previously for a thousand years. We published a rumor that current Chair Tom Gawronski may be considering retiring from the Board altogether, but that is not true. Tom has another year to serve in his current term. He may step down as Chair. Rock Church to take over El Cajon Public Arts Complex? There were closed door negotiations between officials in El Cajon and our local Rock Church on Wednesday, Feb. 26, on whether the church would or could sign a lease for the El Cajon Public Arts Center, a publicly-owned facility. Some east county activists are outraged over the prospect, and feel that the closed-door session was a violation of the Brown Act and First Amendment. 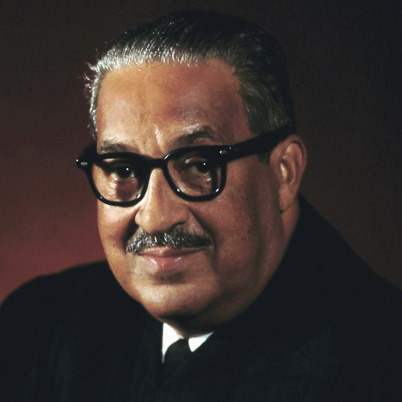 This Tribute is a new one-person show inspired by the speeches and interviews of Justice Thurgood Marshall. The new drama chronicles key moments in the legendary civil rights leader and judicial scholar starring local OB legend Antonio T. J. Johnson. 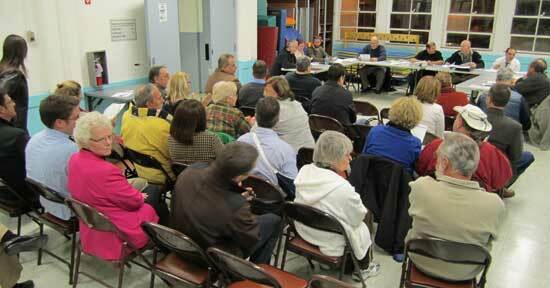 This will be Friday, Feb. 28, 2014 7:30 PM, at the Ocean Beach Woman’s Club at 2160 Bacon Street in OB. Mr. Johnson has been an multi-award winning actor, teacher, singer, songwriter, director, and producer for over 30 years in San Diego. A Chicago transplant Antonio has appeared in major roles at The Old Globe, Moonlight Amphitheatre, Black Ensemble Theatre, San Diego Repertory Theatre, Common Ground Theatre, and Lamb’s Player’s. This actor is bringing this performance to Ocean Beach to introduce a new project bringing more live theater to Ocean Beach and the surrounding peninsula. Every year hundreds of birders worldwide migrate to the San Diego Bird Festival for four days of field trips, birding, exhibitions and speakers. The San Diego Audubon Society’s four-day birdfest is the equivalent of the Super Bowl in bird watching, said Hajj. For more. There’s a proposal out there to go ahead and sink a second warship off the shore of Mission Bay for diving enthusiasts. A 366-foot decommissioned Canadian Navy destroyer was given a tentative go-ahead by a City Council committee last Wednesday. It would be the 2nd ex-Canadian vessel at the San Diego Underwater Recreation Area, which is popular with diving enthusiasts. The HMCS Yukon was sunk in July 2000. The first ever ‘Rockfish Derby’ fishing competition is happening this Saturday in Point Loma. On March 1st, anglers will compete in a Rockfish Derby where all the proceeds will benefit the Wounded Warrior Project in conjunction with Heroes on the Water. San Diego tech company, The Control Group has rented The Seeker at H&M Landing for their office to board and spend the day on fishing with members of the Wounded Warrior Project. The Control Group will cheer on its crew of seven programmers-turned-fisherman. The winners will show off their biggest catches at the end of the day. Local artists and crafters are invited to participate in a first-ever event at Point Loma High School, the Spring Arts & Craft Faire – being held March 15 from 9 a.m. to 3 p.m. on the school campus. The event is one in a series of fundraisers created to raise funds for Protect Our Pointers (POP), an effort to provide certified athletic trainers to assist over 800 student-athletes at every practice and competition. Wanna Join the OB Theatre Company? These classes will be open to ages 16 and above. The students will be instructed in various aspects of stage acting from the over 30 years of award winning acting and directing and teaching from Antonio T J Johnson. Classes will consist of Warm up, audition and Monologue work, character study, levels of emotional and physical connections, rhythm and flow in the text. The 8week session will culminate in a showcase of what the students have learned. Each student will be encouraged to participate in the company’s full main stage season of readings presented by the Vagabond Theatre Project in Ocean Beach. Please bring payment in cash or check to 1st class. There needs to be a Minimum of 10 students per class. A year ago, Belmont Park’s ownership was seeking feedback from residents and planning groups on what they wanted to see at the beachfront amusement and entertainment complex. Now renovations are well underway to restore Belmont Park into more of a family-friendly hospitality destination with more food choices, new rides and improved existing facilities. “We are about one-third of the way complete with our plan to revamp Belmont Park,” said Brett Miller, CEO of Eat.Drink.Sleep, the park’s property manager. Right now, the filtration system for the Plunge swimming pool inside the Wave House Athletic Club is being replaced so that the pool can meet 2014 standards. Miller said it should be opened by March 3. He also said the various Flow Wave water machine rides are being renovated and are expected to open in early March. Belmont Park is also getting ready to open up new dining options, such as Draft Mission Beach, a family-style restaurant from executive chef Brad Wise, that will have burgers, organic salads, gluten-free options and craft beer on the menu. In addition, the park’s rooftop sushi restaurant, Cannonball, is being expanded, and more fast-food options such as Hot Dog on a Stick and Dole Whip are being added. Miller said that existing rides are being renovated and new games are being installed like laser tag and a NASCAR ride for kids. “We are also installing a 300-foot long zip line,” Miller said. For shopping needs, The San Diego Trading Company is opening up a location at Belmont Park the first week of April. Miller said new security offices and surveillance systems are being built, along with new public restrooms and lockers. This first part of the master plan renovation at Belmont Park will be completed by the middle of April, Miller said. In November, construction will pick up again with projects to modernize the rest of the Wave House Athletic Club and add meeting space on the rooftop. A zip-line is also being added to the Mission Bay attraction. Miller said it will take about one more year to complete the $12 million project. “We really want to be a big force in hospitality at Belmont Park,” Miller said. “Adding to the overall look of the beachfront entertainment complex is for it to be preserving historic elements, while adding new establishments that are more appealing to today’s consumers. The park was acquired in the fall of 2012 in a trustee sale by Rancho Santa Fe-based Symphony Asset Pool XVI, which is managed by Pacifica Enterprises. Miller said his group and Pacifica got serious about taking over Belmont Park in March of 2012, when the property was in receivership. 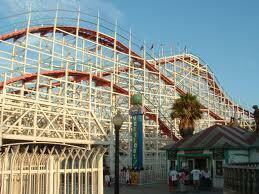 “In San Diego there are few properties that have the visibility Belmont Park does,” he said. The 113-room Holiday Inn Express in Pacific Beach at 4540 Mission Bay Drive, San Diego 92109, has been sold for $13.05 million. I knew something was up at that place on long branch. They just hired someone to chop all the trees on the property down last Saturday, and when I walked by last night the two units to the east were empty. DaJohn – does it look as it there will be a whole new landscaping scheme installed? Doesn’t look like they have changed the landscaping at all. I’m hoping this isn’t the first sign of something bigger going on over there. Why are some east county residents outraged over the prospect of Rock Church moving to the El Cajon Public Arts Complex, and how would it be a violation of the First Amendment? As far as the Brown Act is concerned, does it rise to a violation if the city discusses a lease with a potential tenant behind closed doors? I’m not sure if there’s a definitive answer to that. Do not know about the Brown Act here, but the El Cajon Rock Church isn’t even a year old and it is outgrowing it’s site in an industrial park near Parkway Plaza. I attended the first service ever there and it was already seeming to be bursting at the seams. Pastor Ricky Clark is young, personable & energetic plus there’s a lot of need out in the east county for he ministry activities and volunteerism that The Rock is famous for. Rather than the citizens of El Cajon crying about a church like that moving into their Public Arts Complex, they should be shouting for joy. The Rock brings a lot of good will to a community along with the increased traffic it also provides. The Rock brings “The Rock brings a lot of good will to a community”? The Rock lied about the quantity of services they would have on Sundays. The Rock has stolen a public street (Truxton) on Sundays. The Rock causes blight in the local community by placing signs all over the place. The traffic caused by the multiple services on Sundays cripples access in and out of Liberty Station multiple times during the day. The people who go to the Rock blatantly blow off the parking rules and take up parking for local businesses employees and patrons (I have personally witnessed more often than not). How is any of that “good will to a community”? 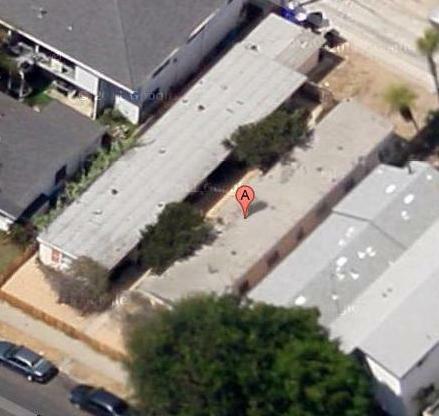 Didn’t the San Diego County Grand Jury recommend the permit be pulled for the mess they create in Liberty Station ? Can someone please look into the reports of two recent attempted abductions of children from their sports league practices? One occured at Robb Field and I do not recall the other location, but a photo was taken of the guy at Robb, and it matched the description of the other alleged attacker. Please please please I’m only getting info through a mother-grapevine. There seems to be no known source for public or local info on this. News tip!!! Someone get on it! This is what I got from the Peninsula Little League Board of Directors via St Peters School. It is also posted on Mextdoor Ocean Beach. police take these reports very seriously. 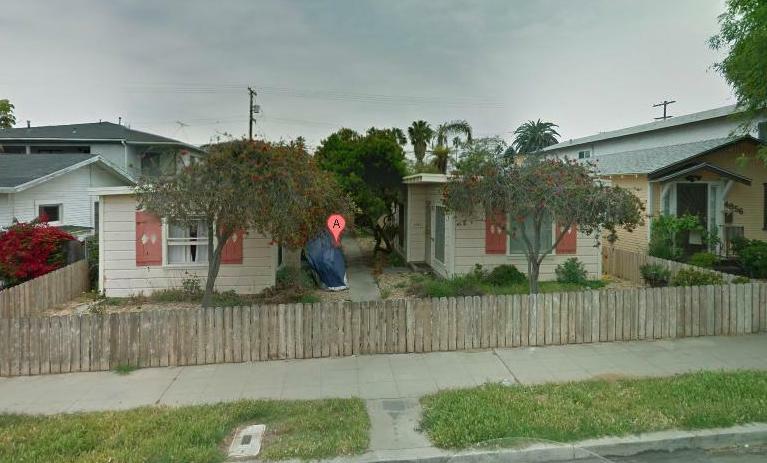 Second source is Nextdoor Ocean Beach (not Mextdoor). I highly recommend joining it.